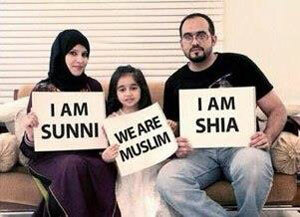 Home » What’s the difference between Shiite and Sunni? In the lifetime of the Prophet Mohammed, and for some years afterwards, Islam was a united faith. But by the 650s AD, Islam split into two main sects. They fought bitterly with each other. These two sects were the Shiites (SHE-ites) and the Sunnis (SOO-knees). Both Sunnis and Shiites still exist today and they are still fighting. 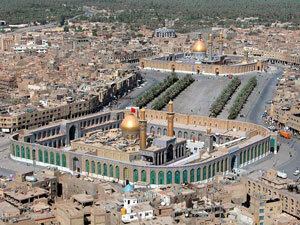 The Shiite sect began in the 650s, when ‘Ali, the son-in-law of Mohammed, became Caliph. 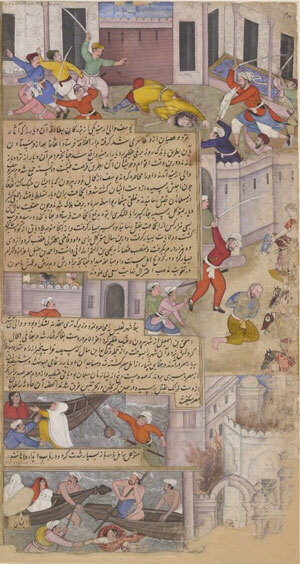 Many Arabs supported another candidate, the Umayyad Mu’awiya, who became Caliph when someone murdered ‘Ali in 661 AD. The losing side, the supporters of ‘Ali, became known as the Shiites, which means “the supporters of ‘Ali.” ‘Ali’s son, Hussein, continued his battle. But he was killed at the Battle of Karbala in 680 AD. Because they did not have any political power anymore, these Shiites began to look for religious power. The Shiites also started to gather support from anybody else in the Islamic Empire who felt left out or neglected by the Caliph Mu’awiya and the Sunnis (the group that was in charge). Many of the Mazdakites may have become Shiites. Many of the Mawali, non-Arab people who had converted to Islam, became Shiites, though many Arabs were Shiites as well. Shiism became a kind of revolt against the Arab upper class ( rich people), not against Arabs in general. The most important religious idea of Shiism was that their religious leader was like the Jewish or Christian Messiah, and was going to come save them from evil. Many candidates were proposed from among the descendants and relatives of ‘Ali and Fatima, but at first they all failed to get power. The Abbasids got into power in 750 AD, with the support of the Shiites. They were descended from Mohammed’s family through his uncle Abbas. But soon after they got into power, the Abbasids turned against the Shiites too. The Abbasid caliph al-Muttawakkil built a great Sunni shrine at Samarra in 849, and destroyed the Shiite shrine to Hussein at Karbala, a popular pilgrimage site, the next year in 850 AD. When the Fatimids took over Egypt and North Africa, they were Shiites, but the Ghaznavids and then the Seljuks and Ayyubids took over from 950 AD onwards, and they were all Sunnis. From that time on the majority and rulers of the Islamic Empire have generally been Sunnis. The only exception is in the center of West Asia (modern Iran and southern Iraq). There the Safavid Shah Ismail encouraged people to convert to being Shiites in the 1500s. Today Shiites are still the majority in Iran and southern Iraq. Cite this page: Carr, K.E. What’s the difference between Shiite and Sunni?. Quatr.us Study Guides, July 26, 2017. Web. April 19, 2019.